Women have different ways to unwind and pamper themselves. 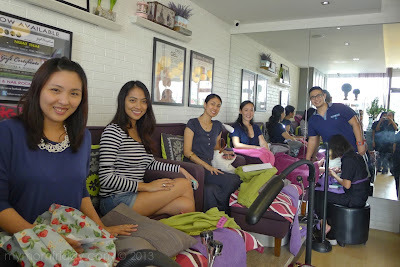 For many busy moms I know, one sure-fire way to beat the blues and relax is to have a beauty break at a nail salon. 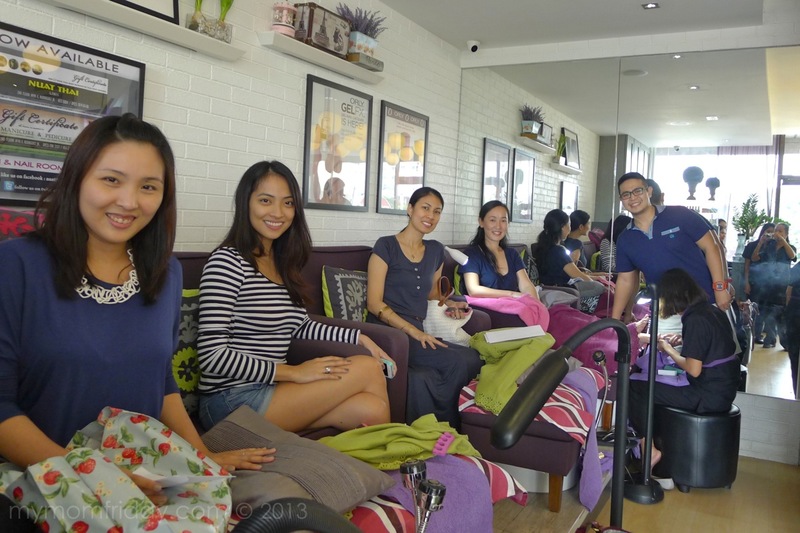 I enjoy an occasional mani-pedi treatment too, and I recently had one at a "sparty" hosted by my friends from The Nail Room in Libis. 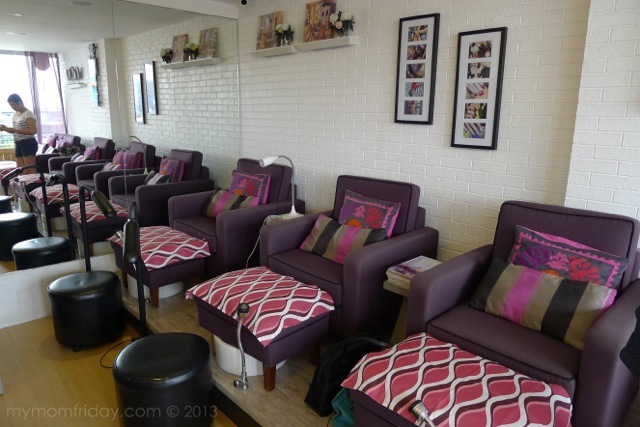 The Nail Room looks vibrant and welcoming with warm fuschia and purple colors set on clean white walls. 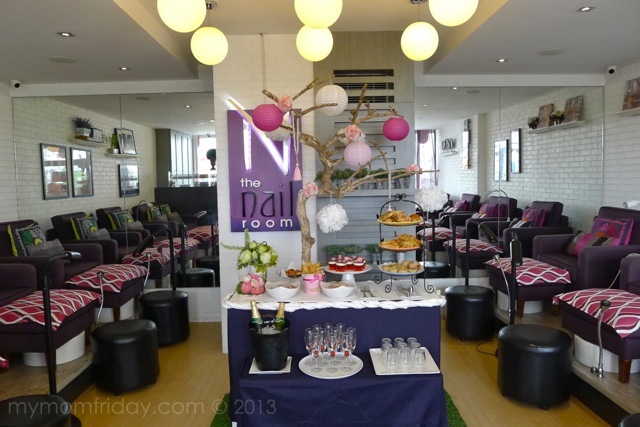 The open layout of The Nail Room is really ideal for small private parties and get-togethers as guests are seated on separate sides facing each other. They have already accommodated several bridal and baby showers, and birthdays here. Time to choose our polish. Ang laki ng problema namin (we had a big problem), hahahaha... there were so many nice colors to choose from that it took a while for each of us to pick our shades from Orly and Chanel. 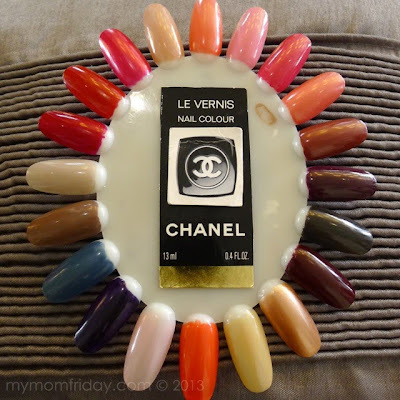 Only a handful of high-end nail salons offer Chanel lacquers with add-on fees. That's why, I'm glad The Nail Room carried the pricey brand and only charge an extra PhP100 if you choose Chanel polish. That's a very good deal! 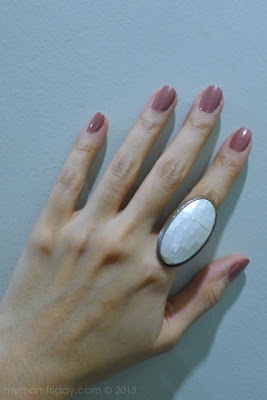 I was supposed to have Spa Manicure as well, but I just buffed and shaped my nails the night before. So, I skipped a few steps and just asked my aesthetician to massage my hands then proceed with application of nail polish. I'm very particular with my fingernails and I never had my cuticles removed. I finally went for this classic red CHANEL Pirate for my pedi, and this neutral ORLY Coffee Break (or is it Country Club Khaki?) for my mani. I am very happy with my fresh mani-pedi... I love the colors! As expected, fingernail polish started chipping after a week. This is normal for me regardless of the brand, except when I used UV gel polish in the past which lasted much longer. But my pedi is still looking perfect after 3 weeks! 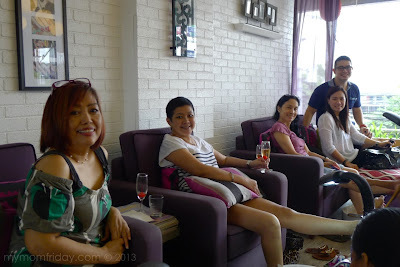 With all our smiles here, we clearly enjoyed our sparty at The Nail Room, thanks to Jay and Janine for making it really relaxed and fun for us. 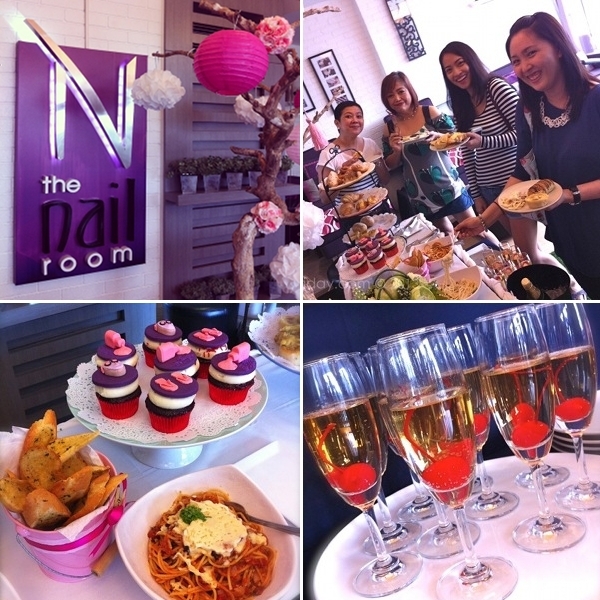 You can see more photos from our fun sparty at The Nail Room here on my Facebook page, for your viewing pleasure. :) If you are in the Libis area, give them a visit or book your own sparty with family and friends, kids are welcome too! 2/F #90 E. Rodriguez Jr. Ave.